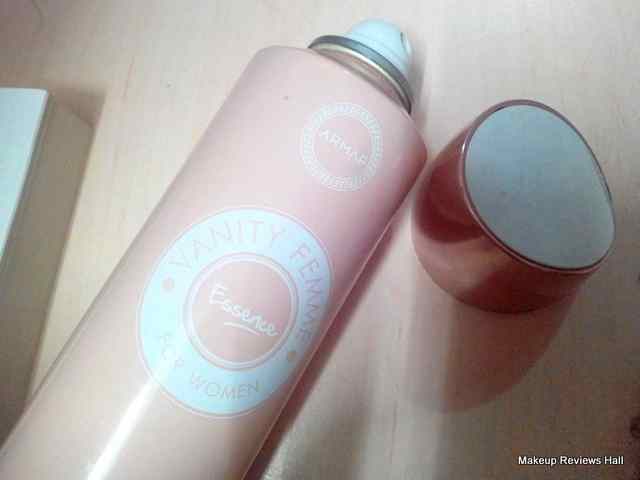 This is a review on a perfume body spray deodorant specially for women from the brand ARMAF. 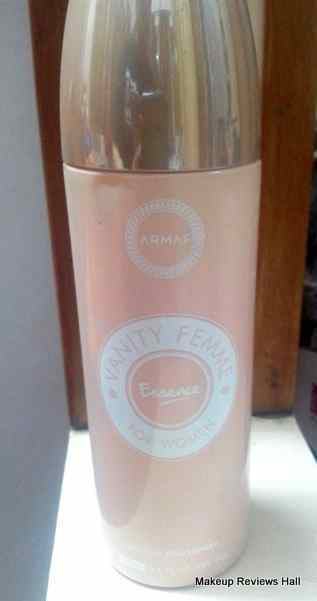 It's Armaf Vanity Femme Essence Body Spray for Women. I know most of you might not have heard about this name because this is not a very common brand in deodorant's but I got to know about this on a recent visit to a mall and I was quite attracted by the very cute looking attractive packaging of this deo. You cannot take your eyes away once you get a glimpse of the beautiful feminine deodorant from Armaf. Take a look at the beautiful bottle of this. A mesmerizing fragrance of love, romance and sensual elixir for those who enjoy infatuation and love. Floral top notes open with sensual essences of jasmine, bitter orange wrapped in sweet notes of peach and magnolia blossom. Base consists of soft amber and musky notes intertwined with white flowers. As mentioned before this deodorant comes in a very beautiful attractive packaging. Along with being feminine in its look, it's also quite sturdy and looks very rich compare to the regular deodorant sprays. The cream peach shade of the bottle adds to the beauty of this femme perfume. One can easily feel the gentle and very pleasant aroma of this Femme Essence once you take the nozzle close to yourself with a very refreshed feel. On spray, this releases a very gentle floral fragrance with a soft touch which lasts for quite longer period at least 6-7 hours if not much. I usually spray it strong for this much lasting effect because with the light release the effect remains for hardly 2 hours. Overall I think this is a very good gentle feminine spray for daily use. It's very pleasant, refreshing and gentle with a floral effect and definitely makes you more confident with the feel of refreshing aroma. I think every girl should try this at least once because this comes with a rich look, pleasant fragrance for women at a very affordable price. The only downside being its availablity offline at very few stores. Fragrance gives a refreshing feel on spray. Long lasting enough with sufficient release. Comes in lot of Variants. Not very long lasting if used lightly.